We have pledged to name one of the bears at the bear farm in Nanning, Southern China, which is being converted into a sanctuary by Animals Asia. We need to raise a total of £12,000 so will have additional fundraisers, events and stalls to reach this target. 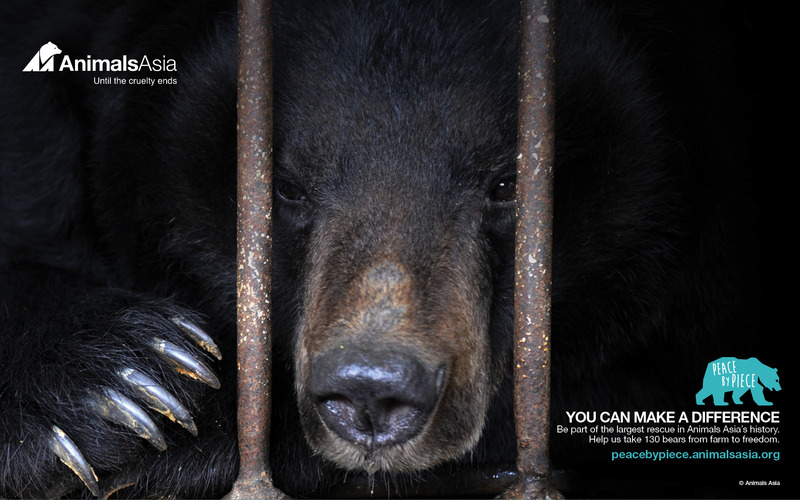 The money we raise will directly help with the conversion as it will give our bear all she needs for the first two years of being looked after by Animals Asia. A total of 130 bears are currently at the farm, with some of the females possibly pregnant, and the conversion will cost approximately £3,000,000 so Animals Asia needs our help more now than ever before. Please help us reach our target, be part of the change and let’s get those bears the sanctuary they so deserve. Come to our events, visit our stalls or get actively involved with our group. We will need more volunteers to help with the fundraisers we have already planned and also people with talents, who can make things for us to sell on stalls or offer masterclasses etc. The fundraising possibilities really are endless, so please get involved, give up some of your precious spare time and help the bears get their freedom. 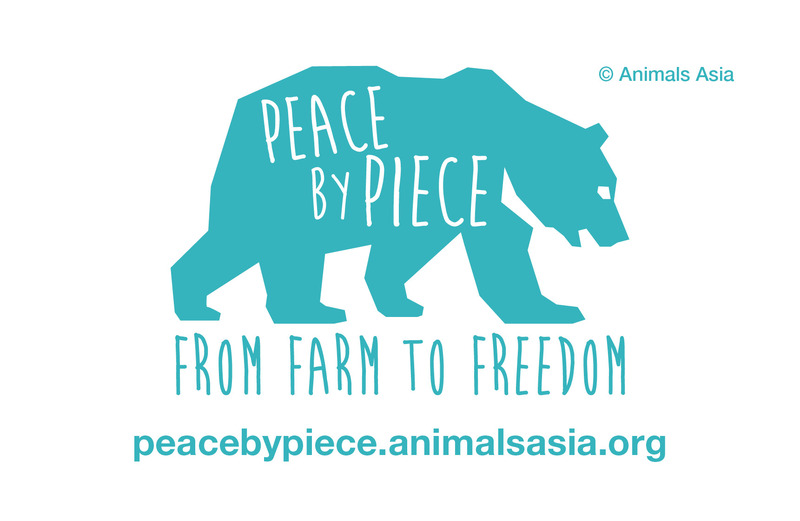 Animals Asia’s Peace by Piece campaign is unique, a never before attempted conversion of a bear farm into a sanctuary, and with all our help it will happen. Funds are vital, be part of the change and make a difference. This entry was posted on Friday, June 27th, 2014 at 12:59 pm	and tagged with Animals Asia, Animals Asia London, Moon bear rescue, moon bears, Nanning, Piece by Peace and posted in Animals Asia, Fundraising. You can follow any responses to this entry through the RSS 2.0 feed.